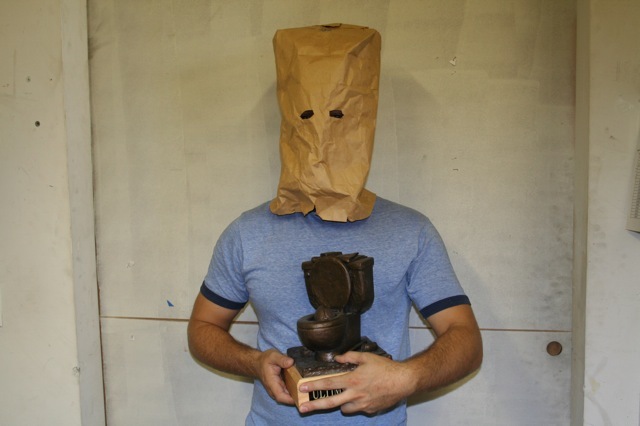 A loser trophy for a fantasy football league can change everything. Believe me, I know. Last year I came unbelievably close to having my name on ours, The Loudini. If not for my buddy Frank and his horrible excuse for a team, I would’ve been forever remembered for shitting the bed in 2012. You just can’t live that type of season down in fantasy football. Especially with my group of guys. A loser trophy adds that extra pressure. Every owner wants to experience what it feels like to win their league and have ultimate bragging rights. However, having your name on your league’s loser trophy says that you were the worst at what you do- at least for that year. It’s a trophy that holds the history and proof that some guys just don’t know jack when it comes to fantasy football. You can’t dispute it either. The proof is in the engraved plates that show the names. It’s one “prize” that no one wants and a trophy that you’ll do anything to stay off of.